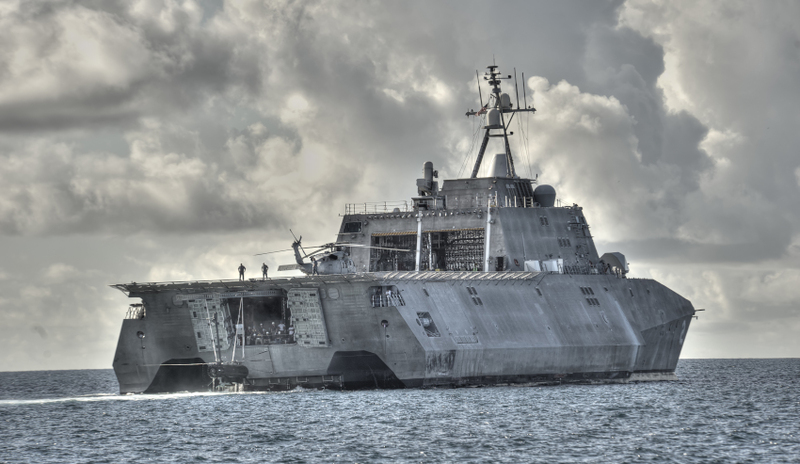 Austal has announced a $14.8 million contract from the US Department of Defense as part of ongoing support services for the US Navy’s Independence Class Littoral Combat Ships. Austal will provide program management, advanced planning, engineering, design, prefabrication and material kitting. The work will be conducted by Austal USA across the Mobile, Alabama and San Diego, California facilities, and completed by August 2019. Austal chief executive David Singleton said, "Austal’s Independence Class, Littoral Combat Ship program has a significant economic footprint throughout the United States. This program delivers a next-generation capability for the US Navy and supports tens of thousands of jobs, through the contributions of Austal’s supply chain, comprising over 900 local suppliers in 41 states." The LCS is a 127-metre, frigate-sized vessel, built at Austal facilities in Mobile, Alabama. The program is in a full rate of production with several ships under construction simultaneously. Charleston (LCS 18) has just completed acceptance trials, with Cincinnati (LCS 20) following closely and commencing trials shortly. Final assembly is well underway on Kansas City (LCS 22) and Oakland (LCS 24). Mobile (LCS 26) and Savannah (LCS 28) modules are under construction in the MMF and Canberra (LCS 30) has commenced pre-production. "Austal’s USA team delivers this program at a seamless rate with these ships joining the fleet in rapid succession. The advanced manufacturing process we have developed in Mobile is a huge advantage for Austal to efficiently deliver any future orders for Navy. There is no doubt the significant contribution these combatants are making in supporting the growth to a 355 ship fleet," Singleton said.